Our client is one of the leading healthcare software vendors, providing solutions for various administrative and other functions related to healthcare delivery. Our client provides end-to-end solutions to enhance the user’s daily operations which are of core importance for big healthcare entities. 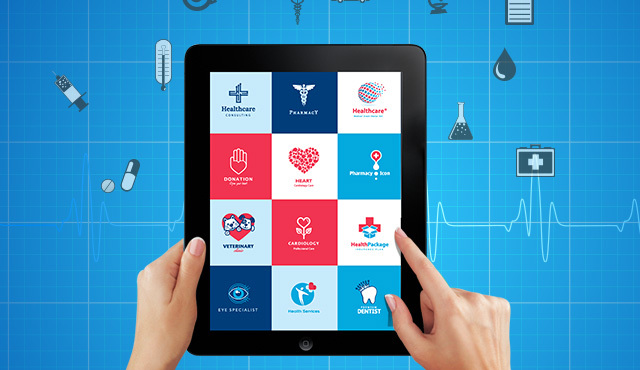 Our client’s healthcare solutions and various mobile workforce products cater to major healthcare entities like hospitals, big diagnostic centers and medical organizations globally. Our client currently has a web based solution to enable users perform their daily administrative tasks. This solution has been achieved by digitizing the physical formats of various administrative forms and documents used by a typical healthcare entity. Our client was looking at mobilizing the web based solution on tablet devices to enable the users to operate them even on the go. Our client thought that due to the increasing popularity of these tablet devices like iPad, providing a mobile interface to the currently web based user interface would give their product an edge in the marketplace. Our client, while in process of mobilizing the current solution was looking to engage a partner with extensive experience in complete mobile application development lifecycle. Our client sought an innovative partner in product engineering who has worked with various generations and a variety of smartphones and tablet devices. Validation of data in terms of mapping the formats as well as content. Implementation of offline support in the absence of network connectivity. 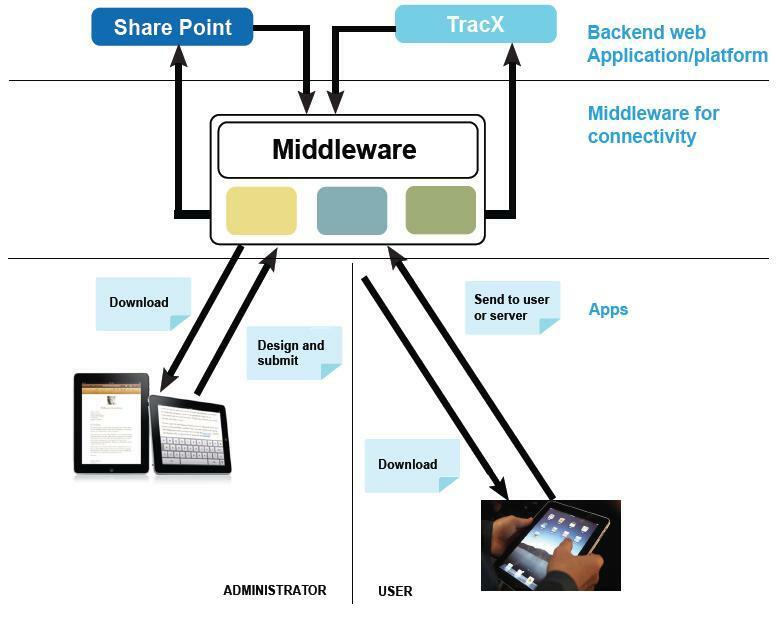 Integration with backend document management systems like SharePoint or TracX. The user interface and user experience should be as similar and seamless across various mobile devices as possible to take care of the robustness and scalability in future. The Xoriant team leveraged the vast experience derived from our successful engagements in mobile application development lifecycle in the past to chart a complete engagement roadmap for our client. Our team worked alongside our client counterparts to deliver the application roadmap in lines with the objective. An agile methodology was used to execute the ever growing dynamics of our client’s business requirements and quicken the time to market. Xoriant teams utilized the already developed frameworks, as well as pre-built and tested iPad foundational components at our Mobile Center of Excellence (CoE), so that our mobile developers could spend more time on enhancing the user experience, usability and aesthetics of the application, while the foundational components offered the underlying iPad specific functionality. This resulted in a much better product at a faster time to market. Conceptualized, designed and developed a generic user defined component “FormBuilder” to convert the forms in physical formats to their digital format. This supported conversions to the different formats of pdf, jpg, etc. The component was designed to enable incorporating additional digital formats with minimal code changes, thus allowing easier enhancements. Created template forms that can be liberally used to generate various kinds of digitized administrative forms. -Users: Someone who can fill out published forms and submit them to the Server. The forms can either be submitted to a Server or to another User for review. Implemented a time saving mechanism for the users by making use of the available templates rather than creating them from scratch, and developing instances of pre-filled data. Created a mechanism for allowing users to submit forms internally for approvals and reviews. Alerts were made available to the approvers/reviewers where they can check and approve/review forms. Implemented a functionality to download and save the form on the iPad in low network connectivity areas, thereby ensuring that the user can operate ubiquitously. Provided security of confidential documents by a security log that validates the content and contains records of login/logout activity. Digital Forms helped reduce printing costs by 10%, thus raising profitability. Xoriant’s proficient engineering team has enabled us to deliver a robust product which is first of its kind in a very innovative and professional manner. Xoriant’s expert domain knowledge coupled with their already developed mobile framework for the application made them an excellent technology partner for our business. Their exuberant way of getting the product designed and developed gave us a competitive edge.